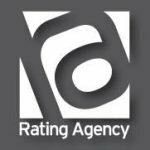 Rating Agency uses its extensive research experience to identify and target voters within each election campaign. We analyze voters’ attitudes, opinions, and interests and predict their future behavior. Based on our analysis of data collected we create appropriate and effective persuasive or mobilizing messages for each target group. Read more We mobilize like-minded supporters to get out to the polls and cast a ballot for their candidate. Using data analysis and strategic insights services, we combine ongoing research with consulting services creating insights and supporting our clients every step of the way. We use our research to learn about people and societies, so we can shape policies that cater to various needs of the people. Different socio-economic groups belonging to different parts of a county think differently. Various aspects of human behavior need to be addressed to understand their thoughts and feedback about the social world. Read more Any topic can trigger social research – new feature, new market trend or an upgrade in old technology. Through our research, we identify social issues and trends and create we influence social change.